Solar Electricity gives you the opportunity to take energy production into your own hands. For over 35 years we have specialized in offering off Grid and Solar Battery Reserve Systems for stand alone power. In these uncertain times, harnessing the sun’s energy to sell back power and to insure continuous power reserves can be a both practical and essential solution. From Grid Interface to the newest lithium Iron phosphate batteries, we have practical solutions for any sized renewable energy project. You can be energy independent and Save money! 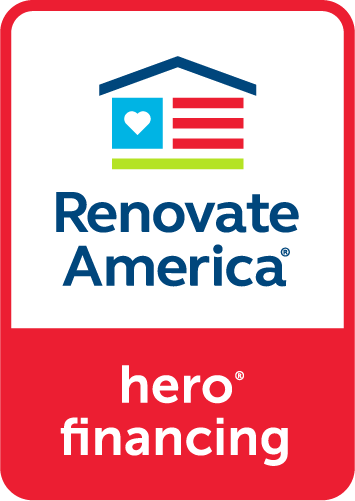 We are licensed Contractors through Renovate America and offer this great option for Solar Financing. Solar Pool Heaters provide more BTU’s than any other renewable product in the state of Florida. Solar pool heating lets you take advantage of the investment you’ve made in your pool and by extending your Swimming Season. Our Pool Heating products include Techno Solis Pool Heating Panels, including the most comprehensive Warranty in the Industry. With 35% more insulation, these panels can withstand 120 MPH winds and are virtually indestructible! You can have continually reliable water heating for any size Pool! We offer the latest Solar solutions! 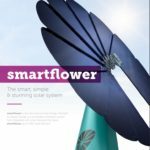 From our newest SmartFlower all in one Solar system, to Solar for farming, aquaculture, water pumping, irrigation, refrigeration and outdoor lighting. We design systems to power a Single Battery, a home, or large Commercial Farms and Businesses. The US Department of Agriculture County Extension Office in your area also offers Grants for Solar Projects in Rural Areas. We also offer Financing options, and links to Grant programs available in your area for most Solar Projects. Call today to find out more! Simpler Solar Systems offers Solar Energy Systems and Products and Services throughout Florida, the United States, Caribbean Countries, and Worldwide. As North Florida’s Leading Solar Energy Company, with over 35 years of Solar Experience, Simpler Solar Systems can help with any size Solar Project. The Development of Solar Design and Engineering has been the framework for Simpler Solar Systems for nearly 4 Decades. With Uninterrupted power at the Forefront of our push toward Energy Independence, we offer top of the line Alternative Energy Services and Solutions in Tallahassee and the Panhandle of Florida. We provide complete turnkey Solar Systems and a full range of Solar products and services, including our newest Lithium iron phosphate Battery packs, DC Refrigeration, electric Bikes, and Solar Screens. We are licensed Solar Contractors, and work with Local Electrical professionals to Install Solar Systems worldwide. In Conjunction with the American Solar Energy Society, and the Florida Alliance of Renewable Energy, Simpler Solar Systems offers informational seminars and Tours at various times and places. Check back on our Website for Solar Tours and seminars in Tallahassee, Marianna, and Panama City as well as our newest Solar Resources in Georgia, Alabama, and Arkansas. Simpler Solar Systems Founder and C.E.O., Al Simpler has worked in the Solar Industry since 1979 as a Project Designer and Solar Advocate. Simpler Solar Systems designed and built the first U.S. Solar Powered Manufacturing facility in Tallahassee, Florida as well as Solar Powered Clinics, Solar School Projects, and Solar Powered Commercial Buildings in Africa, Haiti, the Bahamas, and throughout the United States. Al is widely considered one of the foremost authorities on Solar Battery Reserve Systems operational in over 72 countries virtually maintenance free. 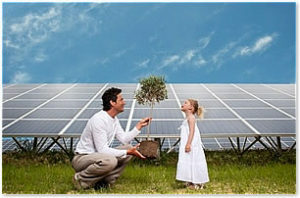 Battery Primary Solar Systems offer total off grid power reserves to store solar energy for uninterrupted power supply. Maintenance free solar Designs are available for Remote Solar Cabins, as well as City and County Solar Applications, Commercial Solar Projects, and Government Solar Programs. We use Tier One High efficiency solar products such as Canadian Solar, Suniva, Solarworld, and Sun Power Panels; SMA and Xantrex Inverters; and Morningstar Voltage Regulators. We design and build Solar Pond Aerators, Solar Water Pumping systems, and Solar powered car charging Stations, We also work with top Outdoor advertising companies to power billboards and City Parks to providing solar street and sign lighting. We look forward to an Energy Independent future in which rooftop Solar is prevalent and available to all individuals and believe the sun can work for everyone. We look forward to working with you on all you solar projects.